The first with 3D Technology! Through breast cancer screening, detection, treatment and recovery, the WMC Breast Center is your partner on this very personal journey. 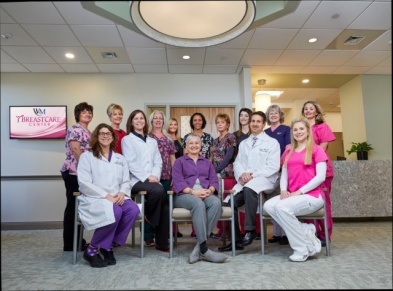 Whether you need a breast screening or in-depth breast care, the WMC BreastCare Center has you covered with a center unlike anything you'll find anywhere in the area! All in one convenient location, across the hall from All About Women, making up our amazing, multi-million dollar . To make an appointment with the WMC BreastCare team, call (304) 797-6433.